This is a story of larger-than-life personalities, big machinery, immense loads and some of the trickiest roads in New Zealand: the tale of an extraordinary breed of creative problem-solvers who revel in the challenge of moving the impossible over the impassable. 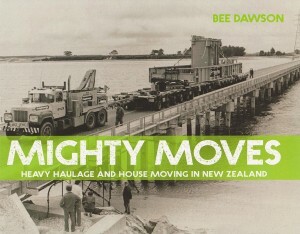 Kiwi heavy hauliers and house movers have long been famed for their willingness to move anything, anywhere. Over the past hundred years or so they have demonstrated an extraordinary ability to adapt trucks, build specialised transporters and develop innovative solutions. Their remarkable story is fundamental to the history of the building of New Zealand.